It’s my hope that all who enter Sessions Training Center become more active and focused in achieving their fitness goals. As a trainer of nearly three decades it has been my mission to inspire everyone who wants to live a healthier lifestyle. Just like everyone, I too have my own fitness challenges. It’s what I call the “great gift”, for it keeps me grounded and gives me the patience to listen and understand what type of guidance my clients need. It’s my belief that everyone has a hidden athlete inside of them waiting to be unleashed and that everyone deserves a chance to have a healthier life so they can live to be great! Maggie is a NASM Certified Personal Trainer, Corrective Exercise, Fitness Nutrition, Behavioral Change, and Weight Loss Specialist. Her objective is to help you be fierce-in-your-own-skin on many levels, and building a strong foundation is the first step. She specializes in weight loss, muscle building, flexibility, core, balance and strength endurance. Maggie emphasizes a functional approach to training that will improve your overall quality of life. TRX and Kettlebells and BOSU, oh my. From novice to star athlete, she will work with you carefully and effectively to reach your fitness goals (and perhaps even have some fun getting there). Trainer by day, she leads a double life as a dancer and circus performer by night. A lifetime of such physicality gives her an awareness of the body that is unparalleled. She firmly believes that form is everything and Sweat Is The New Black. I have been active in the field of health and fitness for over two decades and hold a Bachelor of Arts Degree in Exercise Physiology/Sports Medicine from The University of San Francisco, as well as Certifications from the National Academy of Sports Medicine, the American College of Sports Medicine, and USA Weightlifting. A former competitive distance runner and semi-pro soccer player, I have successfully trained clients of all ages and levels of ability. I specialize in full body conditioning & strengthening, integrated flexibility training, core strengthening, rehabilitation therapy, sports specific training & performance training for all sports. Working from the center of the body (stabilization) and continuing outward (movement and force), the DSportsFit™ system creates lean symmetry and balance. From professional athletes seeking to hone their core strength and flexibility, to patients facing sports injuries, age-related or degenerative medical conditions, or weight loss concerns, each client achieves optimal results efficiently and safely. I work with a wide variety of clientele with special health & fitness needs and my straight-forward, no-nonsense approach to training is certain to assist you on the path to your health and fitness goals. Dr. Valencia started working as a fitness trainer at the young age of 16 years old to help others achieve their health and athletic performance goals, and has continued to do so since 1984. 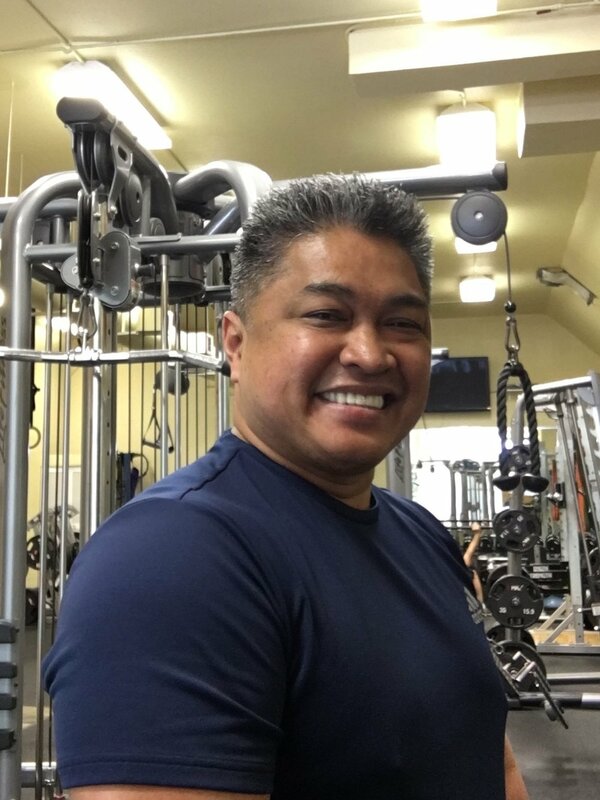 In his zeal toward health promotion and wanting to best serve others with more than just advice, he decided to expand his skill set to also offer chiropractic, active rehabilitation, and ergonomics as a California and Hawaii state licensed primary health care professional. 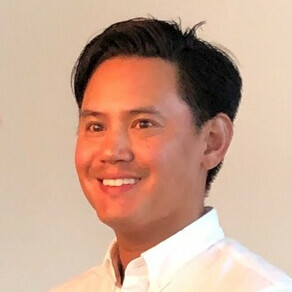 He has been providing such services in San Francisco since 1994, after graduating from San Jose State University with a Bachelors’ of Science degree in Health Science and a concentration in Community / Occupational Health Education, and in 1992 from Palmer College of Chiropractic-West with his Doctorate in Chiropractic. In addition, he has been a Certified Strength and Conditioning Specialist (CSCS) since 1994, and a Certified Associate Ergonomist (CAE) since 2000. In 1997, Dr. Valencia launched his Chiropractic Sports Care, Inc. practice, and finally had the skill set, qualifications, and vehicle to finally best help others as a licensed professional to maximize their athletic potential, most efficiently recover from their injuries, and achieve optimal health in the most strategic ways he ever thought possible. Dr. Valencia’s patients, personal training clients, and corporate clientele learn how to maintain their active lifestyles and age gracefully sparing their soft tissues and joints in a safe, fun, and efficient manner to achieve optimal results. This integrated approach of chiropractic, fitness and ergonomics offers individuals with known neuromusculoskeletal problems a functional diagnosis where care is customized to an individual’s goals, deficits, and activities performed. Functional sources of pain include decreased activity tolerance and decreased fitness, which is why Dr. Valencia emphasizes helping his patients increase their activity tolerance when suffering from acute and chronic neuromusculoskeletal conditions, as well as teaching self-care skills for coping with conditions of the spine, pelvis, extremities, and soft tissues of the body. Chiropractic Sports Care offers manual therapies, physiologic therapeutics, active rehabilitation, functional training, ergonomics, and occupational health promotion services as a comprehensive approach to managing injuries/illnesses and for enhancing sports performance. In addition, focusing on increasing fitness and nutritional status as a rehabilitation and preventative tool, and increasing functional capacity for all levels of athletes of all ages, including the ‘occupational athlete’ and ‘home engineer’! Chiropractic Sports Care is a Blue Shield preferred provider and takes other health insurance plans which offers out-of-network chiropractic benefits. They also send health insurance claims out on their patient’s behalf. Vince has been in the fitness industry since the year 2000. Highly skilled and approaching training with a unique mindfulness, Vince provides a personalized regimen of exercises and stretches designed to prevent injury by addressing muscle asymmetry, promoting flexibility and increasing strength. Discover what your body is actually capable of doing by correcting your unique imbalances. Effortless powers trumps powerless effort. Vince's attention to each individual - where they have come from and want to go - really helps people reach their fitness goals in a more positive way.